1st Choice Carpet Cleaning offers a broad range of professional residential and commercial cleaning services, all delivered with our signature commitment to quality and attention to detail. It’s an often overlooked issue—and one with real potential to impact your health. With use, every mattress harbors bacteria, allergens, dust mites and dead skin cells. Our high-temperature steam cleaning process eliminates those dangers, while giving your mattress that deep down clean feeling. 1st Choice uses only environmentally safe, noninvasive methods to clean and disinfect your mattress, which can make a significant difference in the way you feel. Call 1st Choice Carpet Cleaning for mattress cleaning and disinfecting in the Denver metro area. Make a positive impression on your clients and customers, and ensure a healthier workplace for your staff. Fresh, clean carpets and furniture help keep your business looking its best. 1st Choice cleans virtually any commercial building—office buildings, restaurants, hotels, schools, theaters, places of worship and more. Our unrelenting commitment to excellence in commercial carpet cleaning should make us your first choice when it comes to cleaning your office or business. Let our trained technician keep your business looking its best. 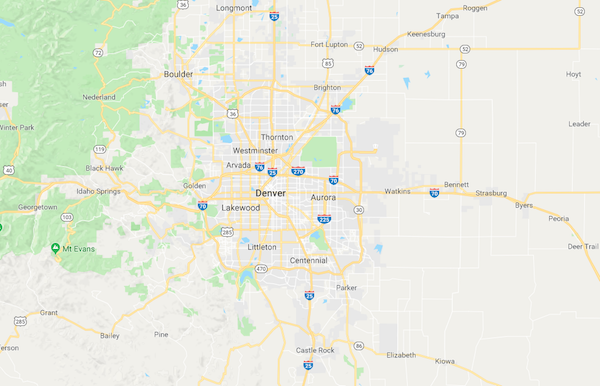 Call 1st Choice Carpet Cleaning today to set up a consultation or appointment for commercial carpet cleaning services in the Denver metro area. For red wine stains, the party’s over. Red wine has long been among the toughest stains to get out of carpets and upholstery. And the longer it sits, the more chance it becomes permanent. 1st Choice can help. We have the right products and equipment, along with expert technicians who really know their way around wine stains. We’ll get to work quickly, applying our eco-friendly spotters and pre-treaters, followed by a thorough cleaning of the whole area to ensure a clean, uniform look. Call 1st Choice Carpet Cleaning now for cleaning red wine stains from your carpets and upholstery anywhere in the Denver metro area. We love our pets. Their messes? Not so much. At 1st Choice, we offer highly-effective specialized carpet and furniture-cleaning treatments to get rid of pet stains and offensive odors caused by pet urine and other animal problems. Pets can stain the carpet permanently and leave odors that never go away. We use products that are specially formulated to remove a variety of pet stains and the odors they cause. For severe carpet stains and odors, we are uniquely qualified to remove—not cover up—these nasty stains and odors. For pet urine problems or general household odors, 1st Choice has the specific deodorizers and proven techniques needed to get your carpets looking and smelling great. Call 1st Choice Carpet Cleaning today for a free evaluation or to book your appointment. Regular vacuuming can go a long way towards removing dust and dirt, and extending the life of your carpets and fine furniture. But for persistent spots and stains, you need 1st Choice Carpet Cleaning. Stains can either be simple or permanent, depending on how long they have been left untreated. By getting your carpets and upholstery cleaned at least once a year, you can help ensure a healthier, cleaner home or office. We use many different methods, products and tools to remove even the most stubborn stains—juice, urine, wax, rust, pet messes and other stains—from your carpets and furniture. Call us for free advice on spot and stain removal for your home and office in the Denver metro area. You’ve had water damage, or even a flood. You’ve got to act fast, before the damage gets worse. Your first call should be to 1st Choice Carpet Cleaning. Our professional team of trained experts is ready to help. We’ll arrive quickly at your home or office with top-of-the-line, industrial-grade equipment to rapidly extract water from your carpets and other surfaces. When necessary, we’ll leave our heavy duty commercial fans at your location to further dry out the wet areas, removing the unwanted moisture from your floors. With the water emergency contained, our technicians will sanitize the area to avoid risk of future contamination due to leftover moisture. This is essential, because water clean-up without the proper sanitization can expose your family to harmful bacteria, mold infestation and other health risks. At 1st Choice, our commitment to health and safety help ensure that your water problem is cleaned up quickly and professionally. Give 1st Choice Carpet Cleaning a call today for immediate assistance with your water damage or flooding problem—anywhere in the Denver metro area. Keep your fine rugs looking their best—have them professionally cleaned on a regular basis. At 1st Choice, we clean all oriental and area rugs on-location in your home or business. This saves time and eliminates the expensive pick-up and delivery charges, giving you the best value for your money. Our expert staff is trained in the latest techniques for caring for your fine oriental and area rugs. Protect your investment. Let our cleaning professionals restore and enhance the original beauty of your rugs. Call 1st Choice Carpet Cleaning for oriental and area rug cleaning services in the Denver metro area. Keep that fresh-from-the-manufacturer look for your carpets and fine furniture with help from 1st Choice Carpet Cleaning. When most carpets and furniture (excluding leather) are manufactured, the final process is to bathe the fiber with a soil and stain protectant. Applied properly, fiber protectant repels dirt and stains and keeps them from becoming permanent. A quality protectant also helps preserve the color and extends the life of your fine carpets and furniture. Over time, this protectant wears off and should be reapplied. We use high-quality Dupont Stainmaster and Scotchgard carpet protectants to renew the strength and durability of the protectant that was originally milled into the fiber. Call 1st Choice Carpet Cleaning to protect your carpet and upholstery throughout the Denver metro area.